What’s Behind Thailand's Buddhist-Muslim Divide? A Thai monk reflects on separatist violence in the country’s restive south. Before he was Phra Visuddho, he was Pisut Aungsupalee. In Thai “Pisut” means “purity”. When his master, Phra Upaseno ordained him as a monk, he took the Pali equivalent, “Visuddho”. Pali is the language of Buddhist texts. The long hours tending his parents’ shop fed Pisut’s young mind. Observing people come and go, he wondered what made them smile or frown. At the age of twelve, he and his family moved to Nonthaburi Province in the countryside. Even then, Pisut would drive back to Bangkok on weekends with his father to tend to the family business. 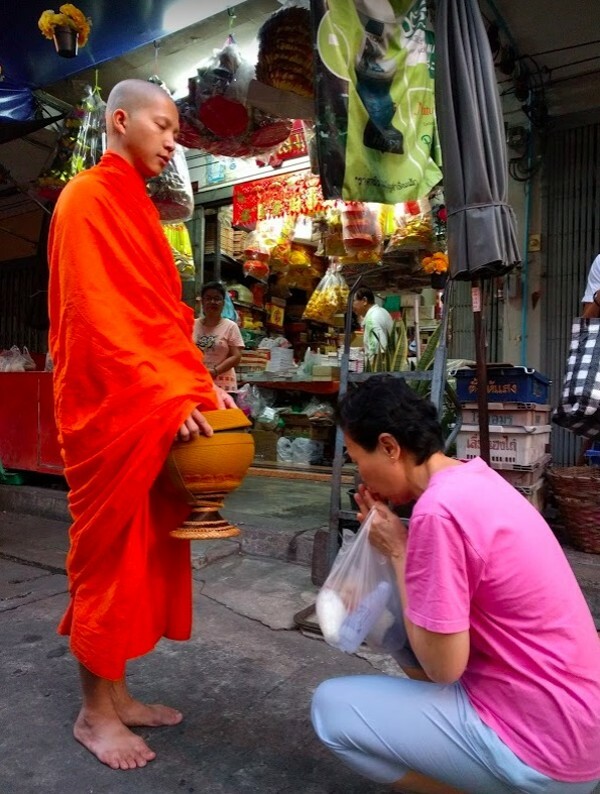 Bintabaht is the collection of alms that make up a monk’s meal. “Before noon, I can eat. Afterwards, I can only drink water or juice.” Bintabaht isn’t a daily obligation for monks, but Phra Visuddho does not go a day without it. In his last year of secondary school, Pisut made up his mind to study sociology. He ended up at Kasetsart University in Bangkok. Then, when Pisut was twenty-two, his elder brother temporarily became a monk. Such short-term ordinations are considered a rite of passage for young Buddhist Thai men. He returned to work at the fruit shop after forty-five days. Pisut was not satisfied with such a short period. He rejected his mother’s offer. Then, his father fell into a coma after battling liver cancer for six years. Pisut promptly returned to Bangkok. After 10 days of remaining unconscious, his father passed away. His father’s death changed his perspective on life. Twenty-three-year-old Pisut revisited his dream of monkhood, perplexed by the nature of mortality. Today, the 36-year-old is a resident monk at Wat Saket, the Golden Mount Temple in Bangkok. Phra Visuddho sees the conflict in the South as the biggest challenge to Thailand and indeed his faith. His views are – unsurprisingly – conservative. On a recent trip to Leeds to improve his English, he remembers being approached by a Middle Eastern Muslim in a public library. “Where is Lord Buddha?” the man jeered. “He made fun of my saffron robe because I was a monk,” Visuddho recalls. Read also: Is Culture Still Relevant Today? 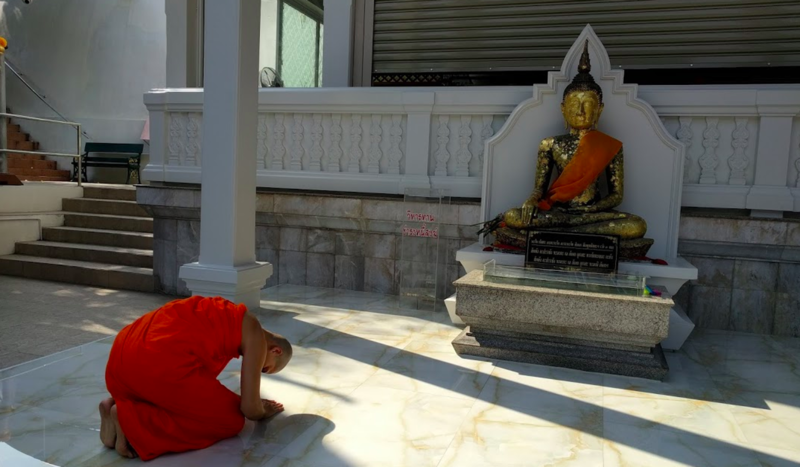 Although he maintains that he feels no resentment towards Muslims, the Bangkok-born monk inadvertently reveals a key Southeast Asian fault-line – between Buddhism and Islam. Phra Visuddho isn’t the only one in favour of a move that could precipitate disastrous consequences for the South. Demands to institute Buddhism as the state religion in the constitution have already been pushed twice in the last 10 years. 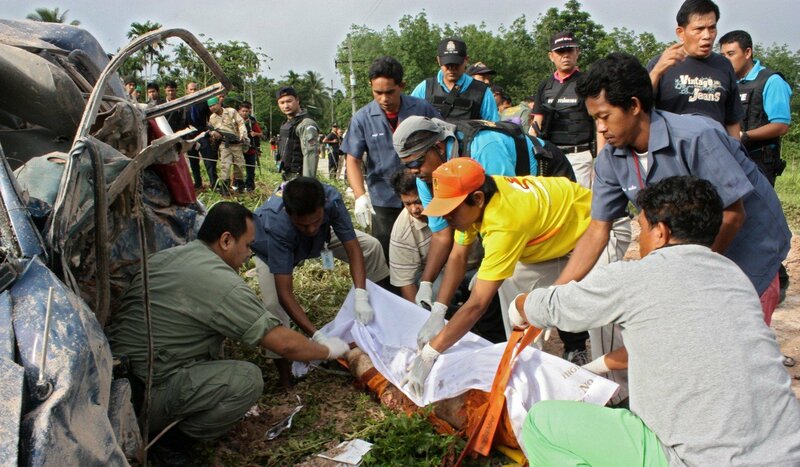 Since 2004 the provinces of Pattani, Yala, Narathiwat and parts of Songkhla have witnessed a resurgence of violence. It has been alleged that the separatist Barisan Revolusi Nasional (BRN) have led attacks against Thailand’s majority Buddhist population. Islam plays a central role in Patani’s identity. The kingdom was only annexed by Thailand (then known as Siam) in 1902. As such, the region retains a distinct identity, with different customs, religion and language. In the fourteen years since the re-emergence of violence nearly 7,000 people have died, and more than 12,500 injured. Despite international and domestic efforts, there is still no end in sight to the almost century-old conflict. Phra Visuddho firmly supports the Thai government’s “coexistence” policies. However some have dubbed this approach as forced assimilation and/or “Thaification”– basically, with the Thai language instituted as the medium of instruction in schools, Islamic education marginalised and local Muslim courts abolished. At the same time, he feels separatist methods have grown increasingly brutal. The targeting of Buddhist schoolteachers concerns him a great deal. However, one wishes that ethnic and religious hardliners in the region could realise that the onus for the creation of a peaceful and progressive society rests equally on both the majority and minority. It all requires balance – something the Buddhist religion also stresses. Peace between the various ethnic groups and religions in Southeast Asia will not occur unless minorities are given the space to express their faith, culture and language, even as they find their place within their respective nations. It seems that for both Thai Buddhists and Muslims, the need to “look within” is as imperative as ever. Next articleWhat Can ASEAN Offer China?